Hotchkis Sport Suspension 19108 2009-2010 Challenger RT Sport Coil Springs. 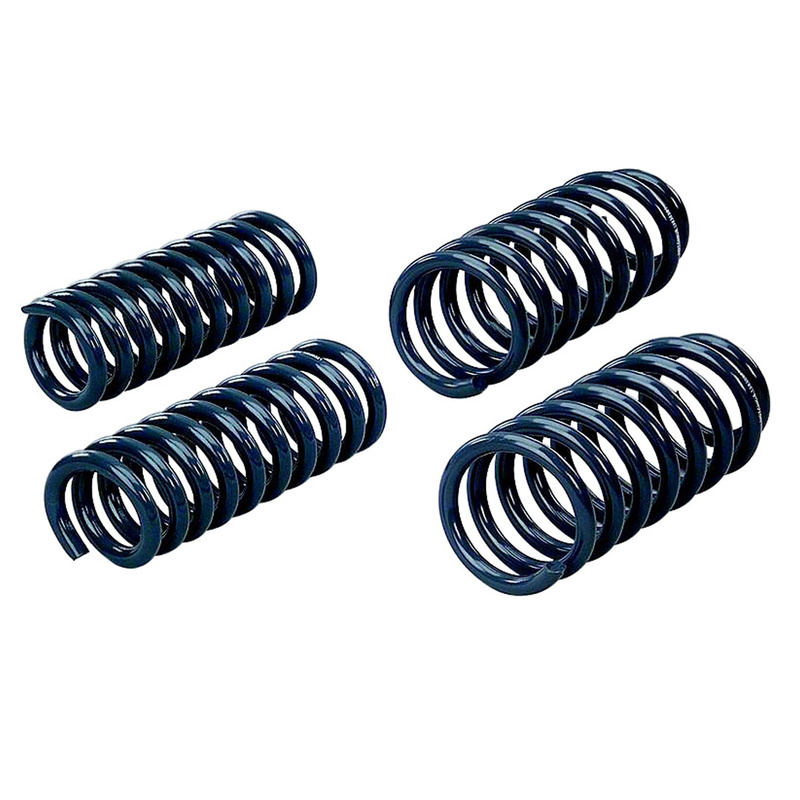 When we decided to manufacture coil spring for the Challenger we took our time and researched other springs on the market. With those springs in mind we found a great combination of performance and comfortable ride characteristics. Our springs feature a linear rate design and come complete with urethane bump stops. Drop: RT Models - Front 1-7/16 in. Rear 11/16 in. For those desiring more drop the 19107 springs for the SRT 8. Can be used on RT Models for 2-1/4 in. Front and 2-1/8 in. Rear drop. For cars equipped with self leveling Nivomat suspension lowering springs cannot be used without changing the struts. Bilstein offers performance replacement struts for these cars that offer great ride characteristics and performance.